This is not default setting for WebCenter applications, developers usually are setting it themselves for class loading optimization purposes. 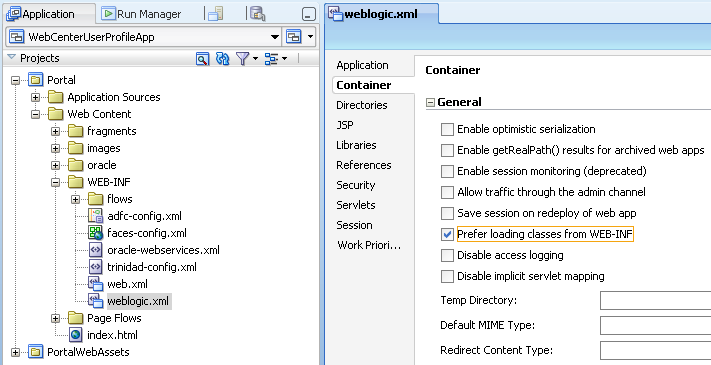 It prefers to load local WEB-INF classes, instead of global WebLogic domain registered classes. While this setting works well with pure J2EE applications, its mixing WebCenter classes and prevents correct class loading. 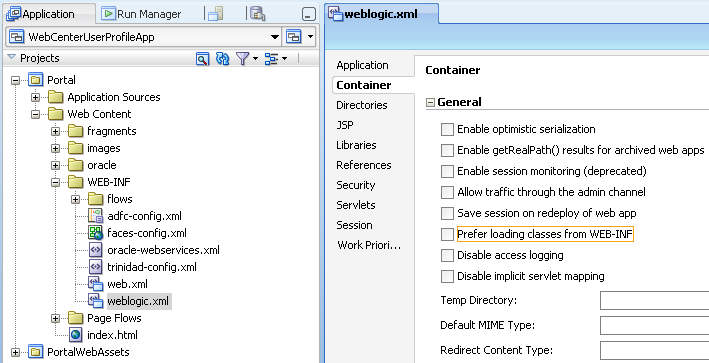 You should be careful, when changing weblogic.xml settings. 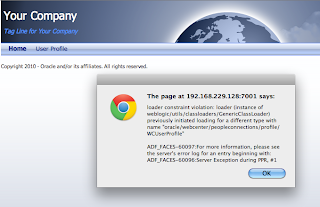 If you want to test WCUserProfile class load error with WEB-INF classes = true, download sample application - WebCenterUserProfileApp_v2.zip. 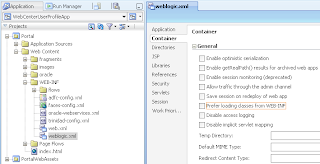 If you still need to put load web-inf first to "true" you can add the jar "peopleconnections-profile-model.jar" to your Web projecto to be deployed under WEB-INF/lib. Doing this, also solves the ClassLoader problem. 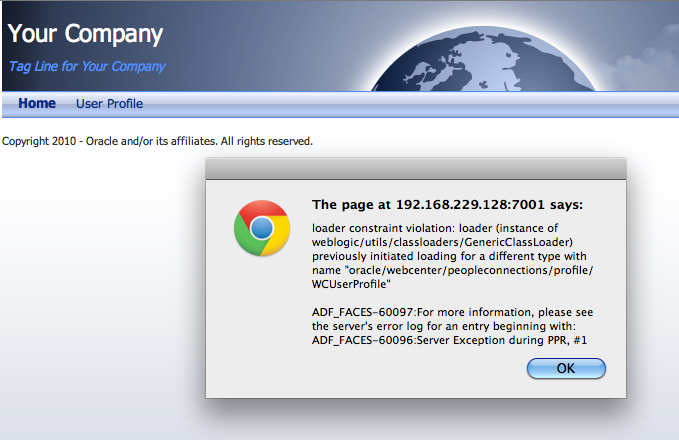 I was testing this before, there was still same error reproduced.